Johann Sebastian Bach. Very Good. In very good packaging. 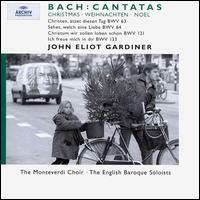 The Monteverdi Choir-J S Bach: Christmas Cantatas BWV 63, 64, 121 & 133 by The Monteverdi Choir.